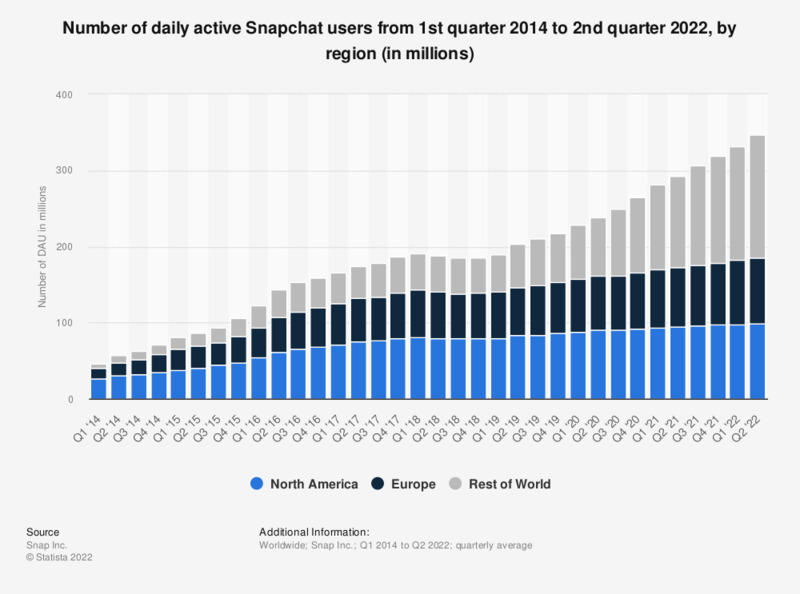 This statistic presents the number of daily active Snapchat users as of the fourth quarter of 2018, sorted by region. As of the latest reported period, the photo and video sharing app had 79 million daily active users in North America, and 60 million DAU in Europe. North America includes Mexico, the Caribbean, and Central America. Everything On "Mobile social media usage worldwide" in One Document: Edited and Divided into Handy Chapters. Including Detailed References.